I looked forward to sharing video of National Park Service Director Jonathan Jarvis’s testimony in front of a House committee that took place earlier today. Even though I found full coverage of the hearing I decided against linking to it in any way. As you might expect there was very little opportunity for Jarvis to share anything substantive concerning the implementation of park policies and I didn’t see any reason to give these people an additional platform. The hearing was nothing more than an opportunity for House Republicans to try to shift the nation’s attention away from their responsibility for the shutdown itself. Republican Rep. Darrell Issa actually had the nerve to demand that Jarvis step down. Now that’s laughable. Thanks to Jonathan Jarvis for standing firm and for representing everyone in his agency with dignity. I assume that park service employees were pleased. A couple of people have questioned why I’ve given this issue so much attention. All I can say in response is that if you have to ask than you have not spent enough time at our national park getting to know these incredible people, who work on our behalf. I do hope that this is my last post on this subject. Given the most recent news updates, it looks like my friends will be back to work very soon. Haven’t read the post yet, but thank you for the Jimmy Stewart reference. Darrell Issa is a sociopathic hypocrite, so his demand for Jarvis to resign is not surprising. Issa is the one that needs to go, but he’d probably be replaced by someone equally loathsome. So better the monster we know. He generally overreaches and hence is usually easy to discredit. Today is a classic example. From what I saw of the hearing there was equal opportunity grandstanding from both sides. I think the NPS has made a few missteps along the way, and the Rs made a good point that Jarvis was unprepared for the shutdown after it having been telegraphed for months. But they were, in my view, very wrong that he was trying to maximize pain. And anyone who takes it out on the rangers is completely wrong. I think the NPS has made a few missteps along the way, and the Rs made a good point that Jarvis was unprepared for the shutdown after it having been telegraphed for months. Sure, I have no doubt that mistakes were made. How could mistakes not be made. That said, this hearing was not about getting at the bottom of anything. It was about grandstanding and deflecting attention away from the fact that House Republicans decided to play a game that could never be won. The parks were closed down for two weeks and they had a Congressional hearing on it. The immigration courts were also closed for two weeks. Will there be similar hearings? Closed for two weeks and absolutely nothing to show for it accept the loss of billions of dollars. It’s disgusting. My understanding is that the shutdown was caused by U.S. Grant who signed the Anti-Deficiency Act of 1870. Kevin, Thank you for posting these National Park Service posts and standing up for the Service. I think because of my mother and father’s interests and in part because we lived very close to both Shenandoah National Park and Indiana Dunes National Lakeshore in my early years, one of my early heroes was Stewart Udall, Secretary of the Interior (and responsible for, among other things, overseeing the NPS) from 1961 to 1969. I have been partial to and thankful for the Service since I can remember. It is certainly enjoyable to see the tea party getting a beatdown. 1. People like Park Rangers better than Congresspersons. When you pick a losing fight, dude, you pick a losing fight. The shutdown was an incredibly unpopular tactic, that hurt the country and a lot of people. It was an utter failure. So the Republicans are searching desperately for a scapegoat. 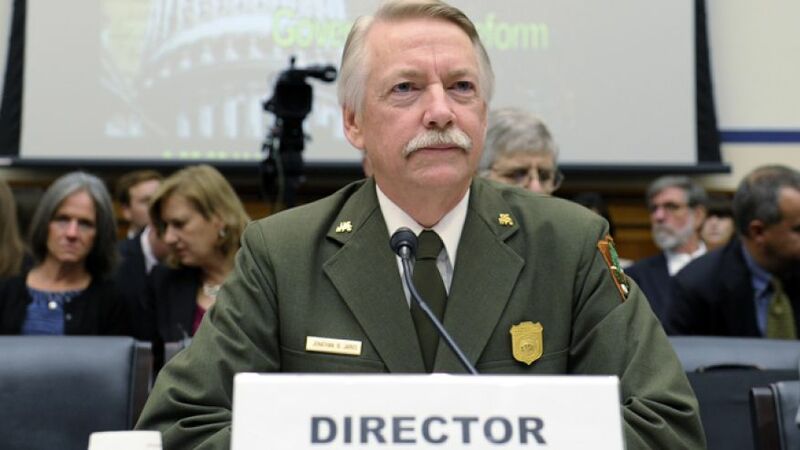 And they picked the one man and the one service that people like the most about the federal government: the NPS. The people who need to resign are the treasonous dogs like Issa and Gowdy who as usual were busy wasting time and money pointing fingers at the very institution they shut down. Issa has been a complete buffoon in Congress and invokes comparisons of McCarthy with his continual pointless and ineffectual investigations that go nowhere. They only serve to provide him with press opportunities to make him look good to the people that vote for him who think Issa is actually doing something. This is the quality of people that now become politicians. Pathetic. While their colleagues in the Senate were hammering out an agreement to end the shutdown and avoid default, House Republicans were hammering on National Park Services Director Jonathan B. Jarvis for doing his job. The national parks were shuttered for a simple reason: no money = no services. Mr. Jarvis, who started his park service as a seasonal interpreter in 1976, likely had better things to do, given that nearly 87 percent of his agency was on furlough. Instead he was subjected to a five-hour hearing in which he had to explain the obvious: No money equals no people equals no services.